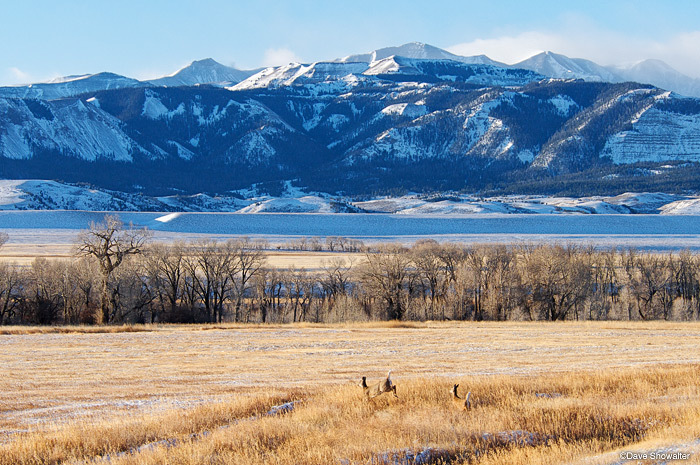 A pair of white-tailed deer bound across grassland against a backdrop of the mighty Absaroka Mountain Range. Odocoileus virginianus. Photo © copyright by Dave Showalter.